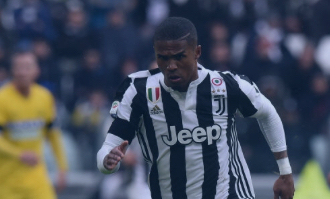 Tottenham Hotspur has joined many of the major European clubs in the Juventus winger Douglas Costa. Italian newspaper Tuttosport reports that Spurs have joined Manchester United, Manchester City, PSG and Inter in the race for Brazil's representative. Juventus is happy to sell the player and set a starting price of 60 million euros for Costa. The Bianconeri are ready to make money as they have plans to raise funds and invest heavily this summer. Otherwise, Costa has been out of coach Massimiliano Allegri's plans and has not started any match as title this season.